Just before the New Year, I ventured into Ohio with Katie Barnes to see the Brambling that was visiting feeders at Allardale Park in Medina County. On site, there were 30 to 40 other birders present, who were enjoying a variety of birds hitting the feeders, including Dark-eyed Junco, American Tree Sparrow, American Goldfinch, and House Finch. We waited along the road for the bird to make an appearance for over a half hour when it decided to perch in a snag, offering less than optimal views before flying off. After another 15 minutes, it showed back up and this time hit the feeder station! It stuck around for a few minutes allowing all observers to soak it in. Lifer, sweet! 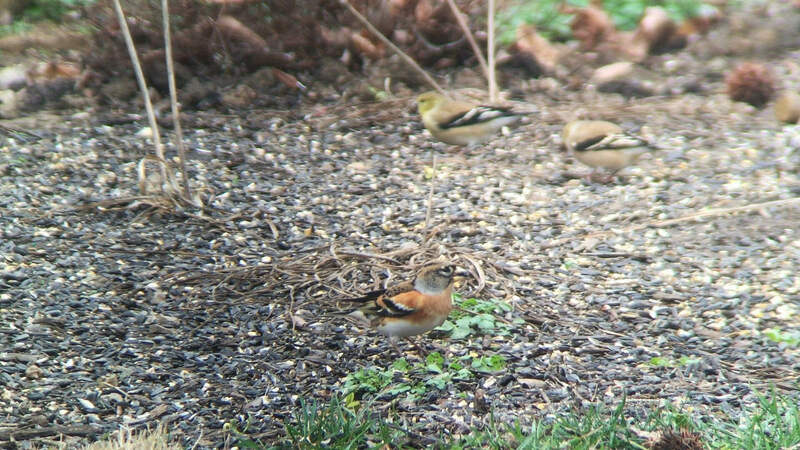 Brambling at Allardale Park in Medina County, Ohio on 30 December 2015. Digiscoped with a iPhone 6 Plus + Vortex Optics Razor HD 20-60×85 & Phone Skope Adapter. Photo by Tim Schreckengost.